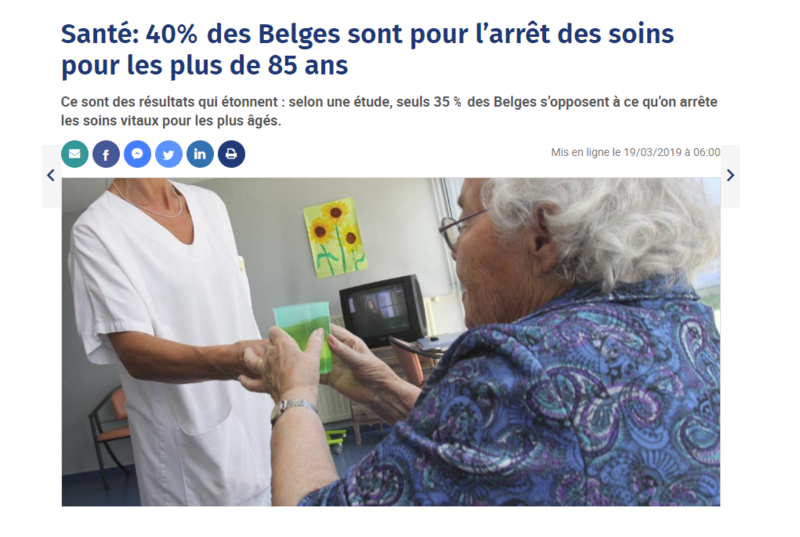 This is the observation reported in a recent article published in March 2019 in the Belgian daily Le Soir and based on an unpublished study by the Federal Centre for Healthcare Expertise (KCE). Although the study has not been made public, the association of people over 55 years old, OKRA, reacts. OKRA supports the rights of Belgian patients to refuse therapeutic excesses. For chronic diseases, which are by definition incurable, a thorough consultation must take place between the physician and the patient about the effect of a treatment on the remaining quality of life. Good information and joint consultation are key in such situations. They allow the patient to make an informed choice among existing therapeutic options and possibly to refuse some – or all. However, OKRA remains opposed to the use of arbitrary age limits in health care. One can never refuse a well-considered therapeutic intervention on the ground of age. After all, everyone has the right to medical treatment, regardless of age. In anticipation of the publication of this report, OKRA will continue to apply the above basic principles.